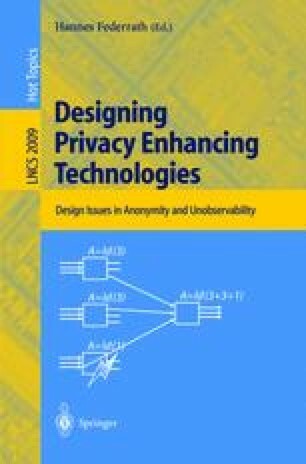 This paper presents a security analysis of Onion Routing, an application independent infrastructure for traffic-analysis-resistant and anonymous Internet connections. It also includes an overview of the current system design, definitions of security goals and new adversary models. Work by Carl Landwehr was primarily performed while employed at the Naval Research Laboratory.